Food-wise, I don’t know that it could’ve gotten better: BBQ from Red, Hot and Blue, gluten free blondies stuffed with enough chocolate chips to break a mixer (thanks Alison), Buffalo Chicken in an almost holy dip form. DG and I duly contributed victuals to the spread. 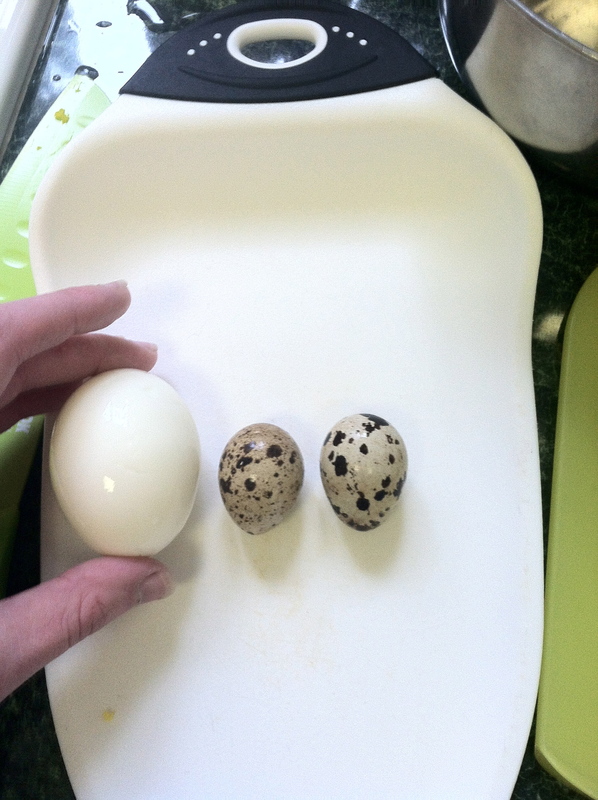 I found quail eggs over the weekend and made itty bitty deviled eggs, and mini stuffed baked potatoes. Quite possibly the fussiest foods known to man. 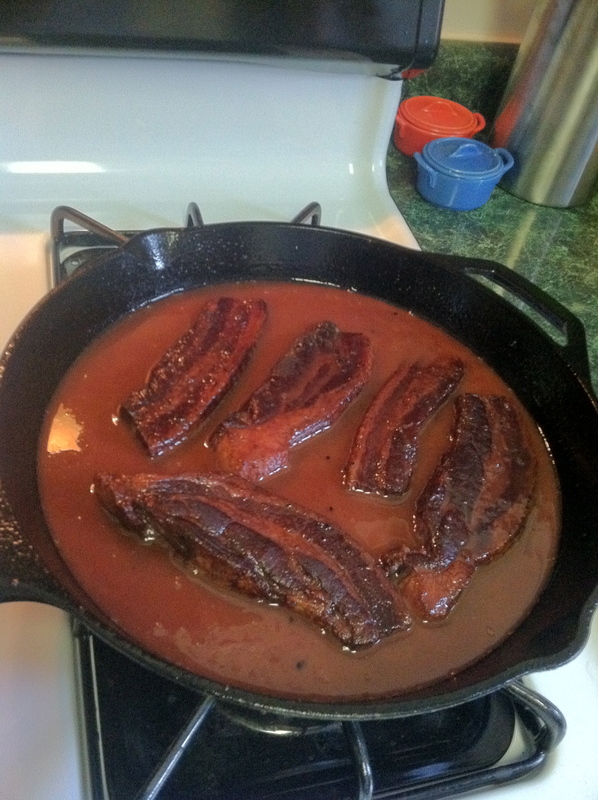 BUT the real kicker was what DG decided he HAD to make: pork belly, crisped then slowly braised in red wine, sliced into unctuous little hunks and swirled in cayenne-spiced dark chocolate. Hey, I saw that. Wipe your chin. Now, go make this. Season the pork belly liberally with salt and pepper. Heat a cast iron skillet or dutch oven over medium heat and crisp the pork belly on each side, about 2 minutes each side. 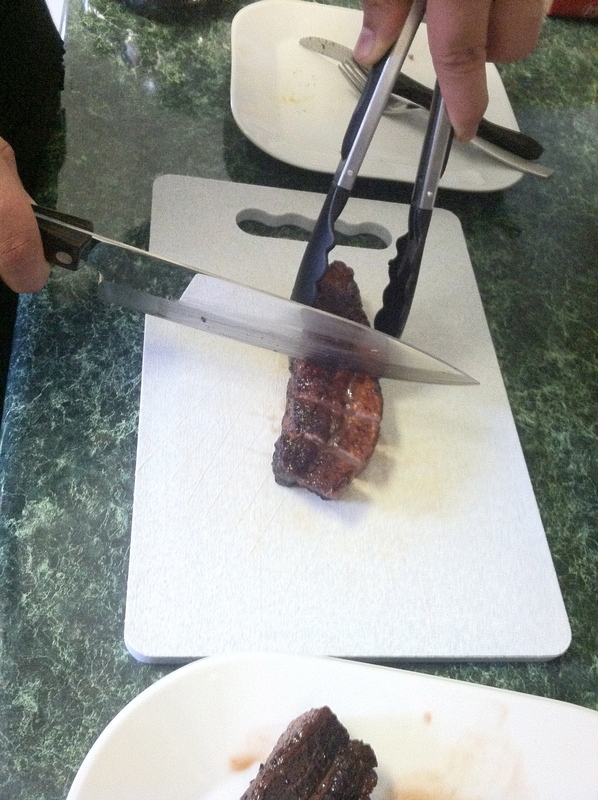 Remove the meat from the skillet and set aside. Pour off the pork fat that rendered off in the skillet. Put the meat back in the skillet and add the bottle of red wine. Cover with a lid or a piece of foil and put it in a 275 degree oven for 2 hours. Remove the meat from the braising liquid. Slice the pork belly into bite-sized chunks and allow to cool. Skewer the pork belly pieces with toothpicks. 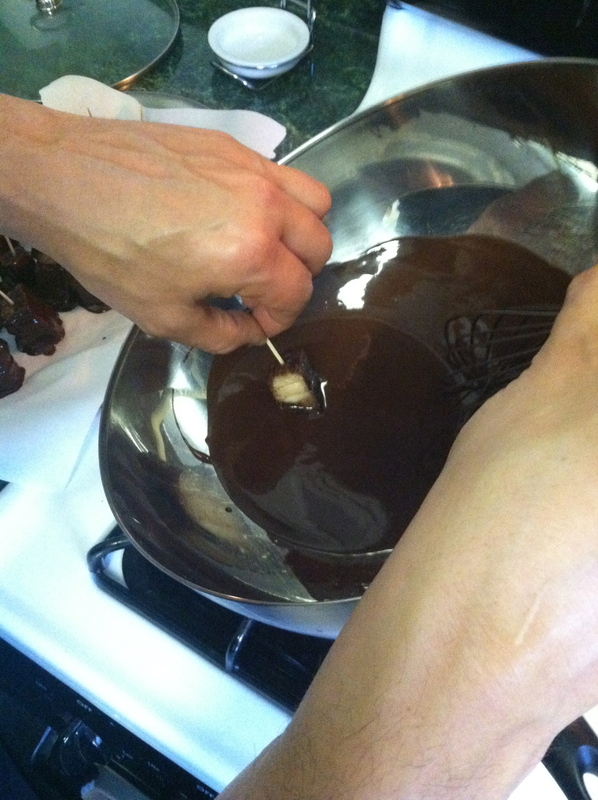 Melt the chocolate in the top of a double boiler, or a large metal bowl set over a pan of simmering water on very low heat. Add the cayenne to taste. Check this mixture for heat and add more chocolate or pepper as needed. The heat dials back as the chocolate cools. 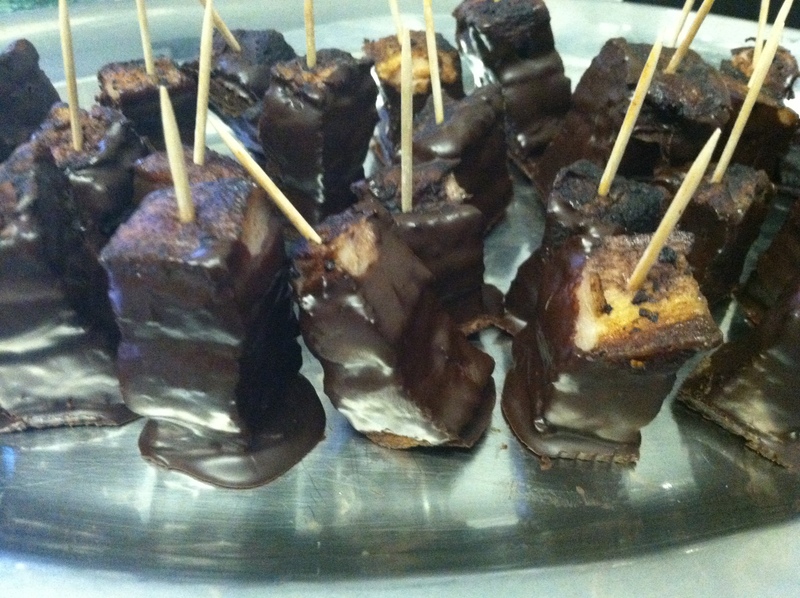 Dip the pork pops into the chocolate and set on parchment or waxed paper to cool in the fridge. Allow the chocolate to firm up and peel off the parchment. Now eat! This entry was posted in appetizer, chocolate, pork and tagged appetizer, chocolate, pork, wine. Bookmark the permalink. Drools…. You need to make this next time I’m around. And you posted this knowing we have a chocolate sensitivity at home…. You owe me…. They were the most ridiculously delicious thing ever.